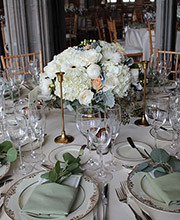 If you desire a beautiful and sophisticated wedding that has everyone talking, choose The Talked About Affair in Port Washington, New York. For the perfect wedding, anniversary party, reunion, or other social function, let our team of bridal consultants create an extraordinary event that exceeds even your highest expectations. 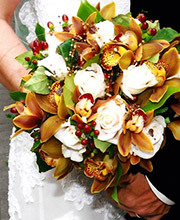 We are also a wedding florist, so you can count on us for a beautiful selection of bouquets and centerpieces. Our services also include the coordination of vendors, creating a timeline of events for the day, review of vendor contracts, and a coordinator on hand all day for the day of your event, including the rehearsal. When you choose The Talked About Affair, we take care of everything to achieve your precise vision. Schedule an appointment with our bridal consultants. Let us make your event as perfect as it can be. Walk down the aisle with a bouquet made just for you. 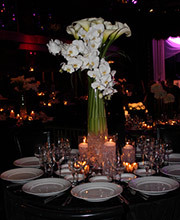 See what clients say about our event planning services. View the bouquets, decor, and cakes we have made.